Are you looking for dependable Fairfax lawn service? Look no further! Complete Lawn Service can provide services for all of your landscaping needs. For over 40 years, Complete Lawn has been providing northern Virginia residents and businesses with professionally designed and beautiful outdoor spaces. We use the finest quality materials and employ the most knowledgeable personnel to bring you a healthy lawn that brings beauty and value to your space. Lawn Care – We mow and edge your lawn every other week and make grass height adjustments based on the time of year; we also provide seed and feed services that keep weeds out and maintain quality soil. We can plant trees and shrubs that add character to your space and we’ll maintain them so that they continue to grow and mature properly. Landscape Design – We can design a landscape with plants and shrubs to combine beauty with function. Our hardscape designs of patios and walkways blend in with your landscape to provide you with a functional and visually appealing space. Irrigation – We employ a Certified Irrigation Designer to view your property, learn about the pressure and flow, decide on the best sprinkler system components to ensure effective water management and provide you with a cost estimate. We also inspect and maintain your sprinkler system for you year-round. Mosquito Control – A dependable Fairfax lawn service provider will be more than aware of the mosquito problem in the D.C. region. We use natural, pet and environmentally friendly sprays to wipe out mosquitoes and ticks. Snow Removal – Our crew can come out with plows and shovels and relieve your cabin fever. 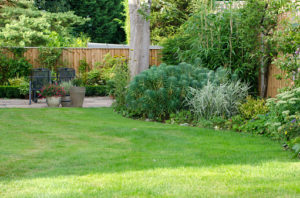 Whatever your landscaping needs, Complete Lawn is prepared to be your dependable Fairfax lawn service. When you’re ready, click on “Get A Price” and let us beautify your outdoor space!